I’ve got Part One of a long weekend recap coming to ya! My weekend was awesome and very eventful. I had a Thai dinner date with my Dad/sisters, made baseball cupcakes, had a sister spin date, went to my cousin’s Engagement party, my friends 21st birthday party, annnnd somehow had time to work Saturday and today! Sorry if this post gets a little bit lengthy due to all my recaps :). My Friday started with an early morning gym session before going to the mall with my sister Amy to help her pick out a graduation dress. 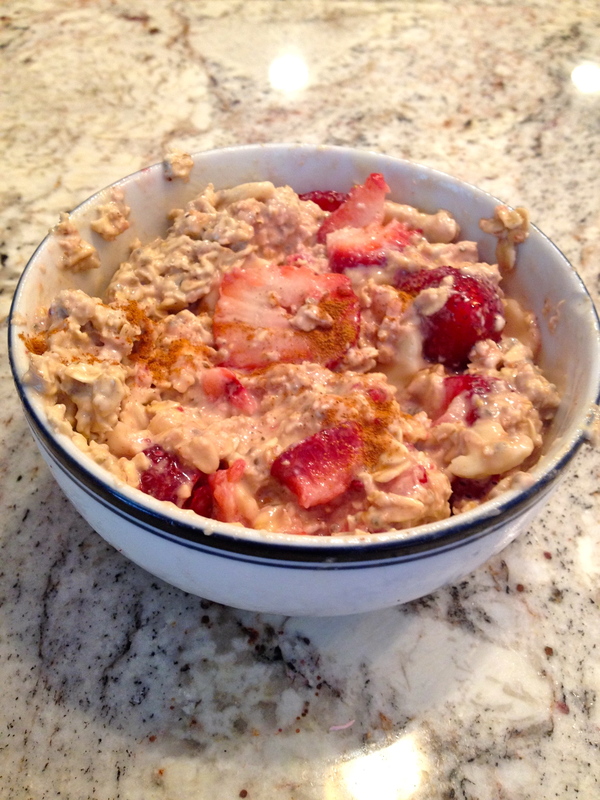 She graduates from her Dietetic Internship in one week, and officially becomes a Dietician. Yay Amy! She picked out a super cute black lace dress from Urban Outfitters to wear, and as her fashion assistant I approved ;). I’m sure you’ll see the dress on the blog after her graduation! By the time we got home my other sister Katie was home from Arlington to hang out with us for the night. But, the real reason she came home was to steal a dress from me. Sisters… Can’t live with them, can’t live without them. We were both in the baking mood, and since my friend Nick’s 21st Birthday was the following day, I decided we had the perfect excuse to make cupcakes. 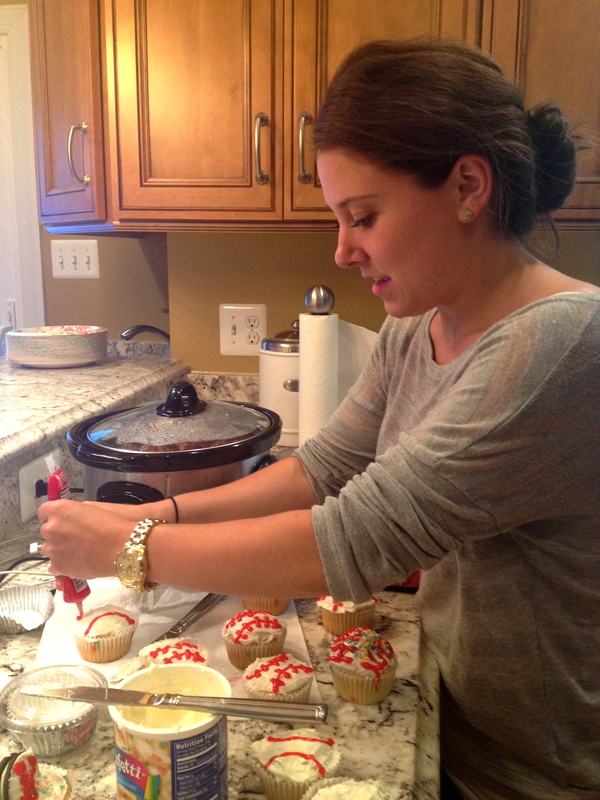 Except we didn’t want to make just regular old cupcakes, so we brainstormed. 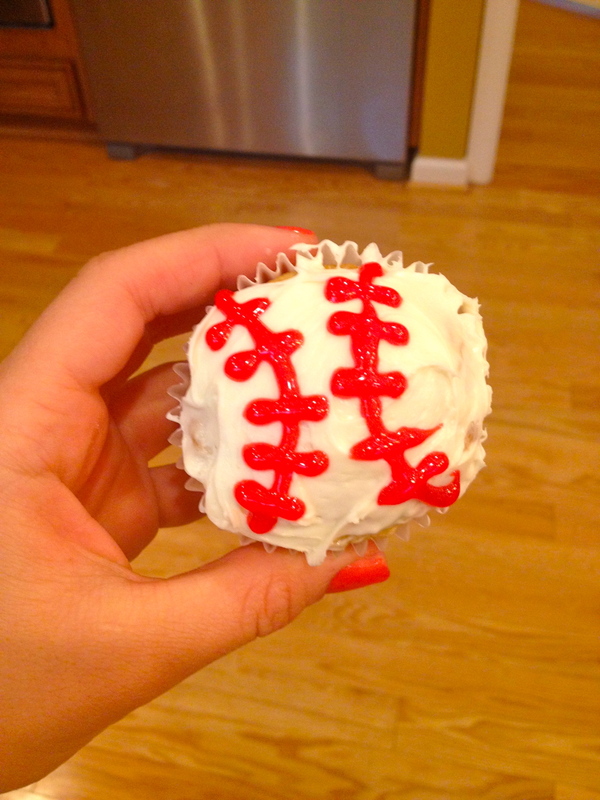 Nick plays baseball in college, so baseball themed cupcakes it was. 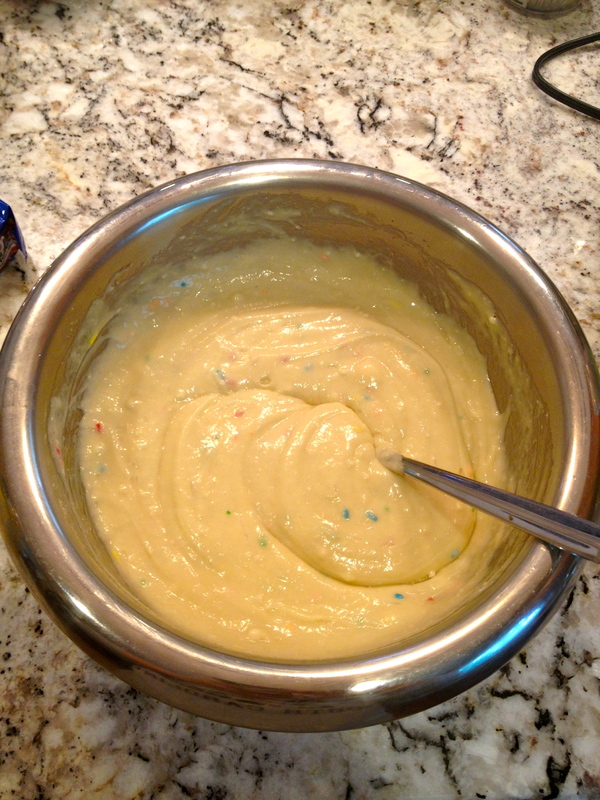 We weren’t sure what kind to make, and finally decided to go with funfetti, because no one dislikes funfetti, unless they’re an alien. 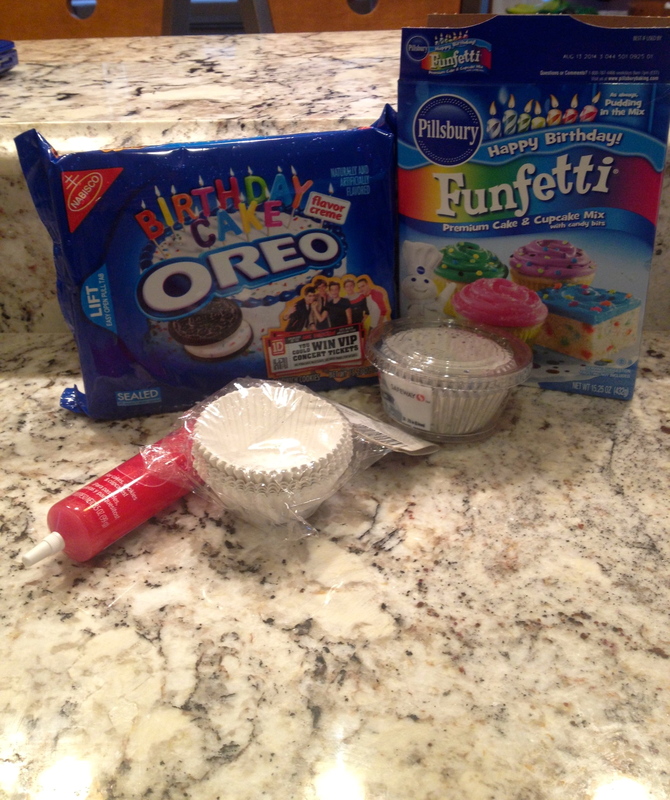 Yes, we bought Birthday Cake Oreos. Originally we were going to incorporate them into the cupcakes, but our baseballs looked better without them. So, now we have a whole full thing of Birthday Cake oreos left. Hmm, what to do, what to do ;). By the way, today I accidentally left the bag of oreos in my car and when I took them out they were a little melted because of the heat, let me just tell you that melted birthday cake oreos = perfection. I then had to package them up and put them in the fridge since I wasn’t giving them to him until Saturday. It was verrrrrry hard to not break into these bad boys. Will power at it’s finest. 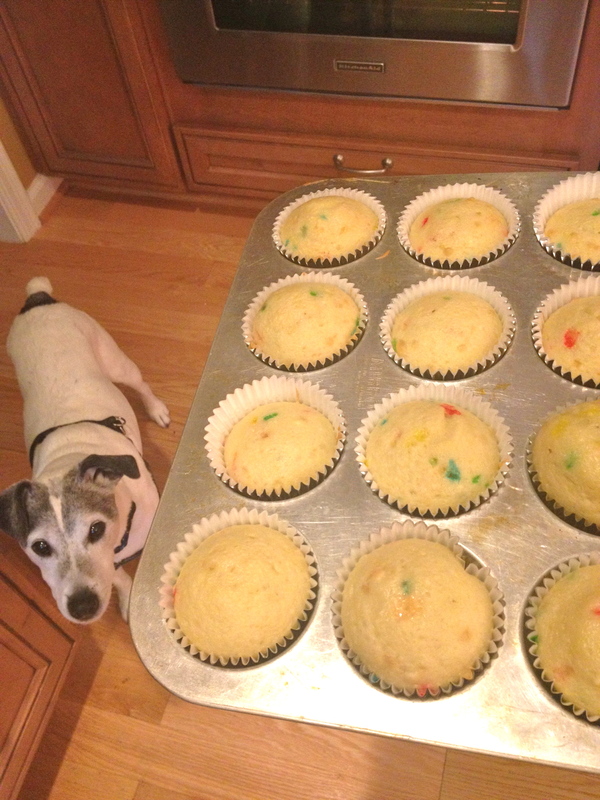 Although, Katie and I did lick the remaining cupcake batter clean. After our cupcakes were done my Mom’s friends started arriving at our house for their weekly ‘ladies’ night, which meant that me, my sisters, and my Dad needed to escape. We decided to go out to dinner, and Thai food sounded like the best option. 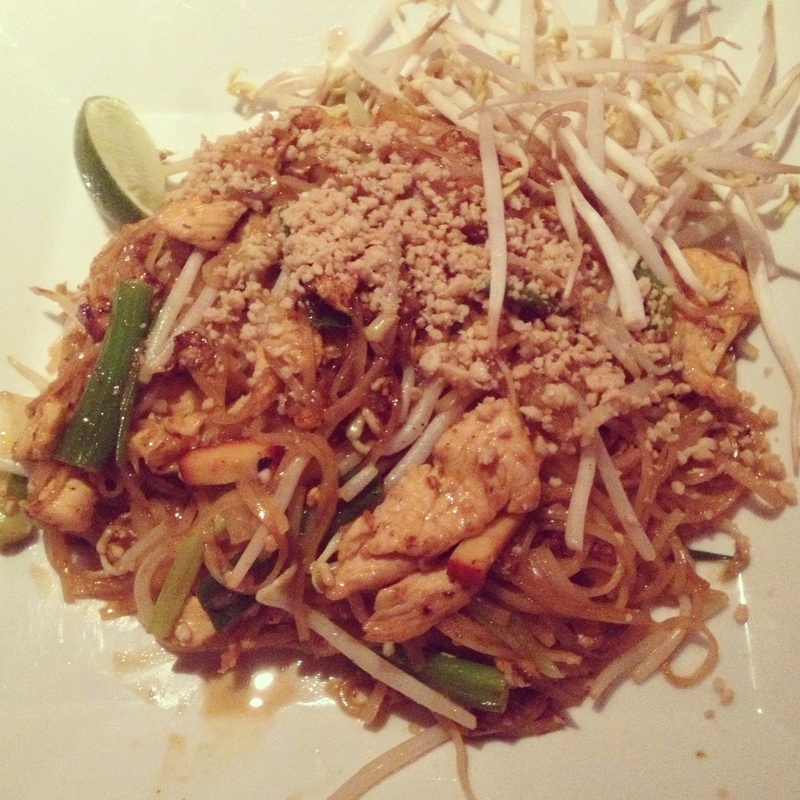 Katie and I shared Drunken Noodles and Pad Thai. It was delicious and finished completely. After our Dad/daughter dinner date we went home and my Mom’s friends were still there, so we resorted to a red box movie in my parent’s bedroom with the addition of my Brother. He got home late from work and was left behind to fend for himself with my Mom and the neighborhood ladies while we were at dinner… poor keith. My Dad picked out Looper and it was by far one of, if not the weirdest movie I have ever seen. Amy loved it, my brother and Dad thought it was cool, and Katie and I were terrified/confused/creeped out. At least we got the pleasure of seeing Joseph Gordon Levitt’s face for two hours straight. Katie slept in my room for the night and I could have killed her when she woke me up after I had already fallen asleep just to tell me how she couldn’t sleep because of the creepy little boy from the movie. This of course made me not be able to fall asleep! I have a love/hate relationship with Spin class. I hadn’t done it in over a year and was excited to see our gym got new bikes that tell you your speed, RPM, and the time while your spinning! I especially liked the time feature because I knew exactly how much longer I had to be tortured spinning. I mentally tell myself at least ten times during a class that I will never do spin again, but then always end up loving it the second it’s over. 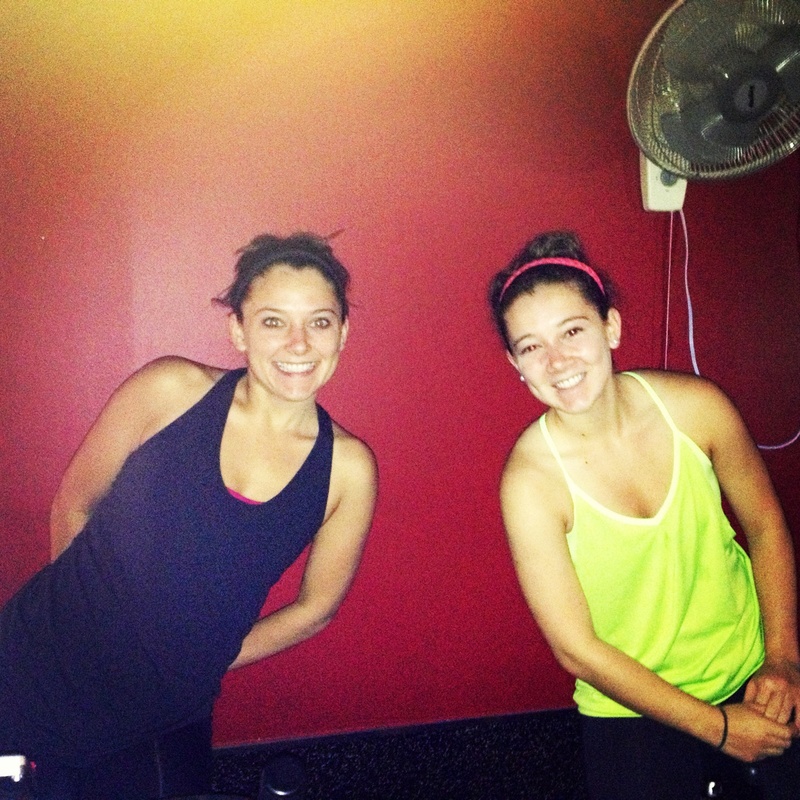 It is impossible for me to leave spin without a sweat drenched shirt, sore booty, and tight legs. And it hurts so good. I’m going to try to attend a lot more Spin classes while I’m home for the Summer since my gym at school doesn’t have it. After the class Amy and I drove back home and Katie drove back to Arlington. I got home ate some overnight oats and headed off to work until 5 before my eventful night. I’ll be back in a bit to fill you in on my Saturday night/ Sunday.